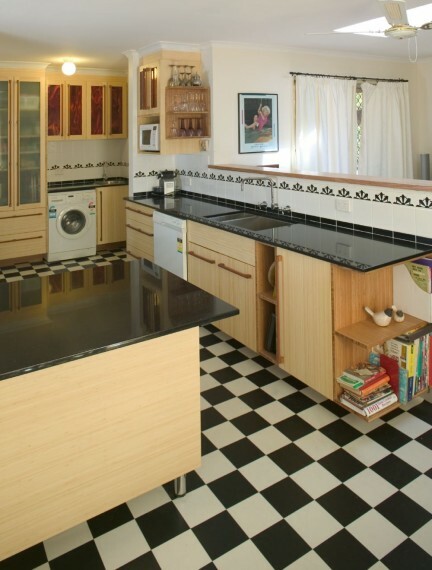 Design a new kitchen whilst integratating the laundry into the kitchen area in a sensitive manner. This laundry is in full view of the kitchen, so the kitchen and laundry are fully integrated using the same materials and style. Storage space behind doors keeps the workings of the laundry out of sight, whilst being an extension of the kitchen. Vibrant glass doors and custom made handles complete the look. 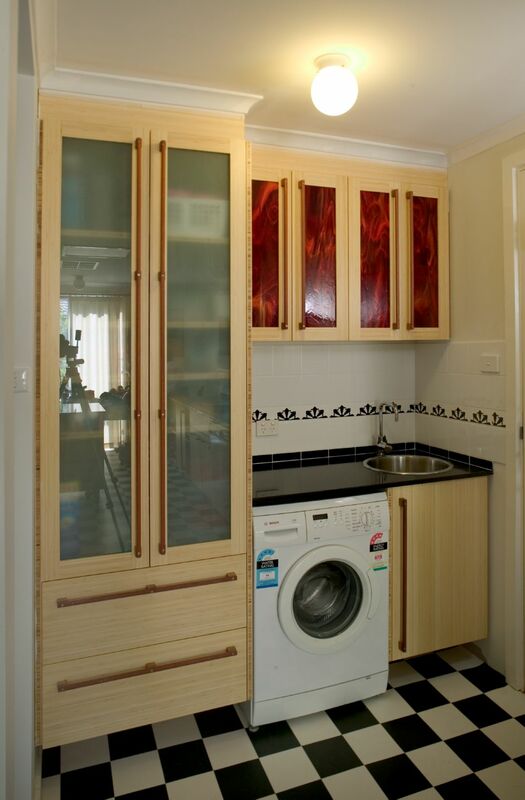 Design, manufacture and installation: Select Custom Joinery.